Display&Scoring - The Latest Innovation In Outdoor Laser Tag Equipment Take Advantage Of Our 14 Day Trial Program! Integrated functions such as the practical use of the on-screen display on the main unit were designed with both the end user and the business operator in mind. Others have used a digital read out to display hit points and remaining ammunition, but we have found that in the broad daylight it is very difficult to clearly see a digital display without a player shading it with his hand during play. A digital read out is like the alarm clock most people have on a night stand near their bed. Have you ever tried looking at an alarm clock when the sun hits it? The numbers on the clock look as if they disappear. Tinted film over a digital display does not fully correct this problem. When digital read-outs are used in outdoor laser tag it becomes cumbersome for the player during a game because he must use his hand to shade the display in order to update his count position which in turn disrupts his flow of play. We have corrected this problem by using an LCD screen which is highly visible during broad daylight and an integrated backlight allows you to light up the screen at night. The picture above shows a common set-up. The unit starts on either Mode A, B or C. (For an explanation of the three different Modes see below). The number of "lives" or "hit points" can be preset from 1 to 9 before the game starts. The number of clips can be preset from 1 to 9 before the game starts or you can choos "U" for unlimited shots. There are 99 shots in each clip from 1 to 9 and unlimited shots from choosing clip "U" but must be reloaded after each 999 shots. Push play to hear the sound the gun makes when turned on. Push play to hear the sound the gun makes when a clip is empty. Now you must push the reload button to move to the next clip with 99 more shots. It takes 8 seconds to receive new ammunition of 99 shots when the reload button is pushed. When you reload it sounds as though you are actually changing out a used clip for a new one. Push play to hear the sound the gun makes when the reload button is pushed. When you shoot your weapon you hear realistic shot gun sounds (when shooting "semi") and realistic machine gun sounds (when shooting "fully automatic"). The weapon can shoot semi-automatic or fully automatic by simply moving the "semi & auto switch" back and forth as you're shooting. When the switch is to the left you're in "semi" or "single shot" mode. When the switch is to the right you're in "fully automatic" or "rapid fire" mode. Push play to hear the sound the gun makes while shooting automatic. Push play to hear the sound the gun makes while shooting single shot. The scoring system in outdoor laser tag is similar to paintball. During the course of the game you always know your status because the display on your gun tells you. When you are shot on your sensors you hear a loud "Umph!" and see the word "HURT!" on your display for three seconds. HURT! means someone shot you on your sensors. After 3 seconds your display will show that you have lost one of your "lives" or "hit points". When you're hit on your sensor by another player, you lose a "life" or "hit point". When you hit another player's sensor, they lose a "life" and it registers on their display. Push play to hear the sound the gun makes when a player is hit. When you lose all your "lives" or "hit points" you have been eliminated and your weapon stops working. Your gun "screams" three times indicating that you have lost your last life. Then on the display you see the word DEAD! The only way you can continue play is to put the key in the unit and turn the unit off and then on again. Using a key to reset any gun eliminates cheating during the course of a game. Push play to hear the sound the gun makes when a player is "dead". When a player loses all their "lives", they are "DEAD" and their gun stops working. The main difference when compared to paintball is in paintball when you are hit once you are out of the game. With the Ikon-x you have the versatility to play with only one "life" during a game just like paintball or you can play a game where each player has 2, 3, 4 ... up to 9 "lives" during a game. 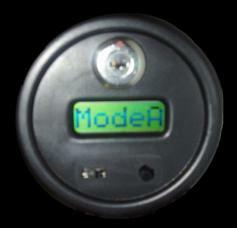 The scoring system for indoor laser tag and outdoor laser tag are totally different. In Indoor laser tag the objective is to gain as many points as possible by "shooting" as many people as you can, and by shooting them as much as you can. At the end of the game you get a score sheet to see how well (or how bad) you did compared to everyone else. The reason indoor laser tag arenas score this way is because each session is timed and to be sure that everyone gets to play the full allotted time this is the only way to score. One of the drawbacks to this is that during a game you never know how well (or how bad) you're doing so that you can adjust accordingly. At the end of the game it becomes a complete surprise on where you are in the standings. This type of scoring allows you and your group the versatility to play many different types of games from basic elimination to protect the president to medic. And the best part of it all is because a player's gun stops working when he loses all "lives" or "hit points", cheating is eliminated. 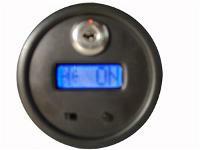 The business owner or referee has complete control of each unit by way of the on/off key switch. You hold the key, you control the play of the game. The Ikon-x is a powerful laser tag system with a hit range of over 200 feet in broad daylight and a range of over 350 feet at night. The unit allows you to choose between mode A, B or C. To select your mode press the black button (reload button) below the display. Mode A can only shoot mode B and C and mode B can only shoot mode A and C. Mode A can't shoot another mode A and mode B can't shoot another mode B. Selecting mode A for one team and mode B for the other avoids "friendly fire" when you're playing indoor or in a small area with many players. Mode C can shoot another mode C (and mode A or B).